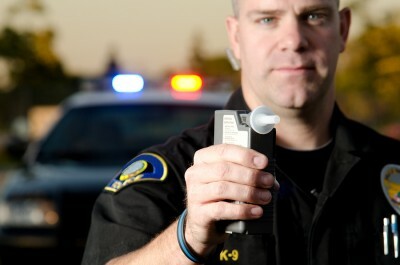 Breath analysis is the most commonly used method of testing for blood alcohol in Denver DUI cases. While not as accurate or reliable as blood tests, it has generally been regarded as acceptably accurate for use in Denver DUI investigations, if administered correctly. Colorado uses the Intoxilyzer 5000EN as the evidentiary breath testing device for all DUI-related breath tests in the state. The principle behind “breathalyzer” technology is the partition ratio. The partition ratio is essentially the blood to breath conversion ratio. This is the ratio of the alcohol dissolved in the blood to the alcohol exhaled in the breath. The currently used blood/breath partition ratio is 2100:1. This ratio assumes that one milliliter of blood contains 2100 times more alcohol than one milliliter of breath. The Intoxilyzer 5000EN relies upon averages and assumptions that are not supported by science or fact, which results in inaccurate test results. The results may be attacked by a seasoned attorney, and an expert in the field of alcohol testing and alcohol absorption. In addition, all officers who conduct intoxilyzer testing must undergo training and re-certifications in order to conduct breath tests on Denver DUI suspects. Officers who are not recertified and/or properly trained may cause fatal flaws in the process, which may result in BAC levels that are far too high. When we handle a Denver DUI case, we obtain all the necessary information related to the case (the discovery). We specifically request discovery of the police officer’s report, notes, and any other law enforcement records related to the same. We also formally request all the reports in the possession of the DMV. A thorough review of those referenced documents may reveal errors in the testing process, errors in the calibration of the intoxilyzer machine, errors in the performance of the roadside tests, errors in the recertification of the operator or the machine, errors in the temperature that the machine must operate…the list goes on. The bottom line is that we win these cases on technicalities, usually caused by human error. If you were arrested for a Denver DUI and took a breath test, you only have seven (7) days to request your Express Consent hearing at the DMV. If you fail to request this hearing, you lose the right to a hearing and your license will undergo automatic revocation on day eight. For more information on the Intoxilyzer 5000EN, Colorado breath tests or requesting an Express Consent hearing. Blood alcohol concentration is the “number of grams of alcohol in every 100 milliliters of blood”. When a person has a BAC of 0.08, that means that there is one-eighth (0.08) of a gram of alcohol in any given 100 milliliter sample of blood. One-eighth of a gram is equal to one hundred milligrams (a milligram is one-thousandth of a gram). So, at a BAC of 0.08, the person has 100 milligrams of alcohol in every 100 milliliters of blood, or exactly one milligram per milliliter. If a person has a BAC of 0.08 it means there are 0.08 grams of pure ethanol in every 100 milliliter (“percent”) of his/her blood. Levels of ethyl alcohol in the blood is of only secondary importance with a blood test. The amount of alcohol actually absorbed into the brain, that will affect the individual’s ability to perceive, make judgments, coordinate movements, and safely operate a motor vehicle is the primary focus. There is no real way to measure the alcohol absorbed by the body beyond that found in the bloodstream, or, even further removed, in breath. Since the bones, brain, and fatty tissue contain a much lower percentage of water than does blood, and since the alcohol level in blood is about 17-19 percent higher than that in the soft tissues (fat cells etc), the concentration of alcohol in the entire body is necessarily less than the concentration in the blood. In Colorado, you have the choice between a blood test, breath test or refusal. If you choose a blood test, your blood should be drawn by a certified phlebotomist. A sealed, certified blood testing kit is used to prepare your arm and to draw the required two vials of blood. One vial will be tested by the State to determine your blood alcohol content and the other vial is for you to have tested by a chemist of your choice. Blood alcohol tests will be done on “whole blood” rather than “blood serum”. Blood serum tests can be up to 33 percent higher than those of whole blood. For the purpose of a Colorado DUI investigation, whole blood should be tested. Additionally, a hospital may also use an alcohol swab to prep your arm before drawing blood, which can contaminate the sample (alcohol rubbed on an arm with a syringe passing through that high concentrated alcohol obviously alters the test). If the sample is contaminated, such evidence will come to light for a jury to determine the validity of the evidence.